Recently I went on a 10 day holiday to see more of Western Australias South - East. First stop was Kalgoorlie-Boulder a lovely place 600 km East of Perth. A Goldmining Town. There in Boulder you can find Chez's Crafty Affair. 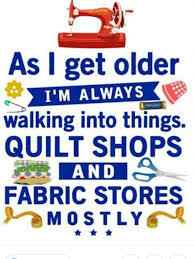 A small craft store that not only caters for Quilters but also for all other kinds of crafts like cake decorating, painting, knitting, crocheting etc. The store has a good range of products and the staff was very friendly and helpful. The store is currently up for sale. 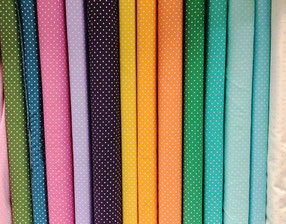 Esperance was up next and it has two Patchwork and sewing stores. First up was Patches n Things, which is located right in the centre of Esperance and is part of a Carpet business. It has a good range of fabrics, mainly batiks but also panels and printed fabrics. 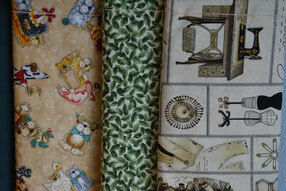 Jelly Rolls and Fat Quarter bundles were also available. A smaller assortment for knitting fans is also available. The staff was very friendly and helpful. The second and largest patchwork and sewing store is 'Just one more stitch' in Esperance and is on the entrance when driving into Esperance on Norseman Rd. The store has a great range of fabrics, batiks being a major part. 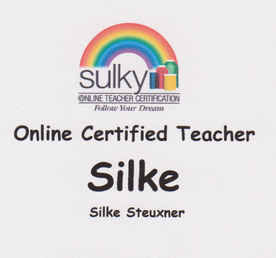 The store is providing classes for Quiltworx fans. Staff was very helpful and friendly. Over to the Southwest coast of Western Australia is the beautiful town of Albany and there is the 'Patchwork Place' an amazing shop with a huge range of fabrics, patterns, panels and notions. Take your time browsing as there is lots to see. Staff is lovely and very helpful. 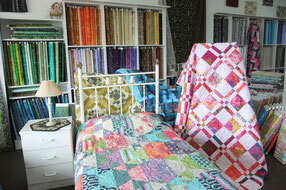 The store offers classes and Longarm quilting services are available too. The shop is on Lockyer Ave in the centre of the town and quite easy to find. Denmark was my last stop on this 'Needletour' but is certainly not the last. 45 minutes west of Albany is Denmark a beautiful and serene country town. There you can find 'Annie's Patch' a fairly new store that has been open for just over a year now. This small store has a lovely range of fabric and notions. It also offers a small range of other craft items like felt. The owner told me that classes and gatherings are planned for the near future. Staff was lovely and very helpful and I enjoyed chatting very much. The shop is on Hollings Rd which is right in the centre of Denmark down at the River front, next to the book store.